This is a pudding so delicious that one of my tasters described it as a "Mounds bar on Ecstasy." And it literally took me 90 seconds to prepare. But there's a small catch. The key ingredient in this dessert -- a coconut powder -- must be ordered. From Hawaii. The packaging of this coconut powder looks slick enough to be part of the Kraft Foods family, yet it's a product produced by a Kauai family who sell it at farmer's markets on the island. In fact, the telephone number on the package is the owner's personal cell phone! 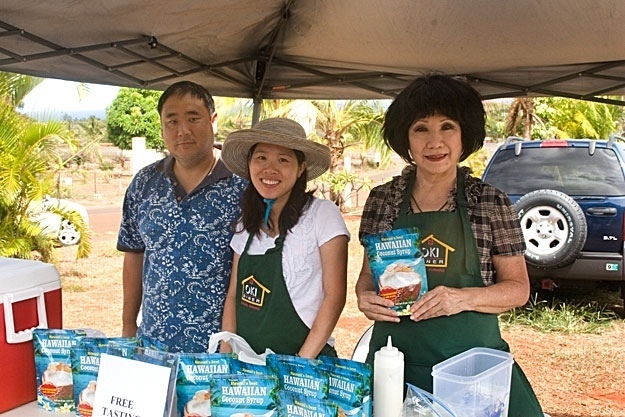 Above, at right, is Barbara Oki, whose restaurant on Kauai served the famous Oki pancakes until it closed recently. Barbara then developed this coconut powder, which is sold by her, along with her son and daughter-in-law. I bought three packages from Barbara, a very enthusiastic salesperson who created the recipes. 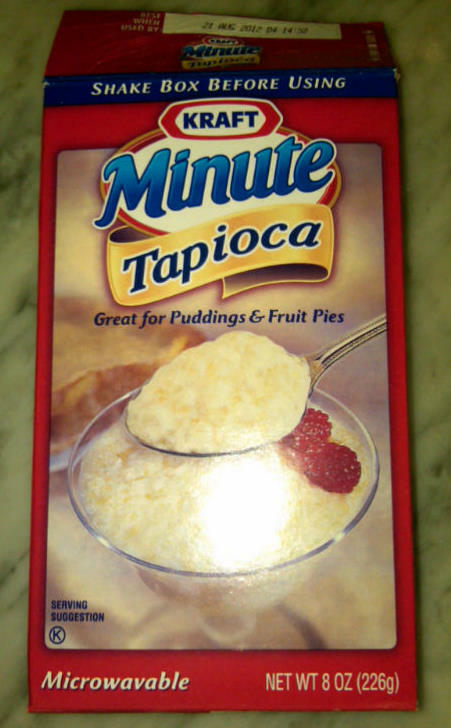 She insisted that I call her cell phone (the number listed on the package) should I have any questions while making the tapioca pudding. This pudding calls for Minute tapioca, a more processed product than regular pearl tapioca, and one that avoids the "fish eyes" texture of the traditional. 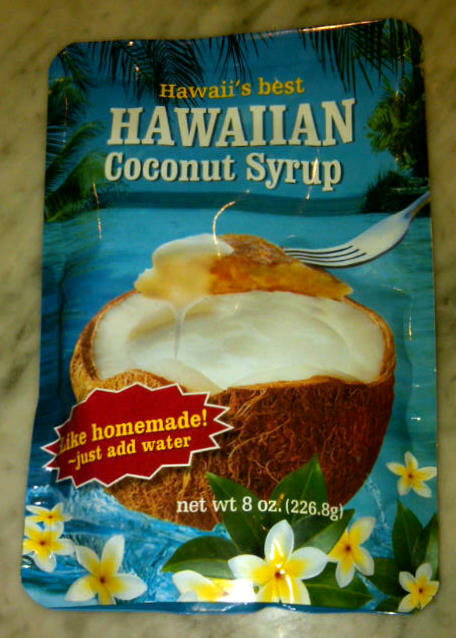 The coconut powder was originally developed to make coconut syrup, used in Hawaii in place of maple syrup on pancakes, etc. It is fantastic. 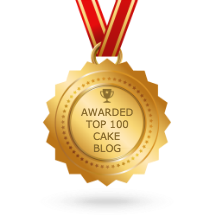 But, if you check Barbara's website, you'll see that there are many delicious desserts that use the powder. Below is the one I used. 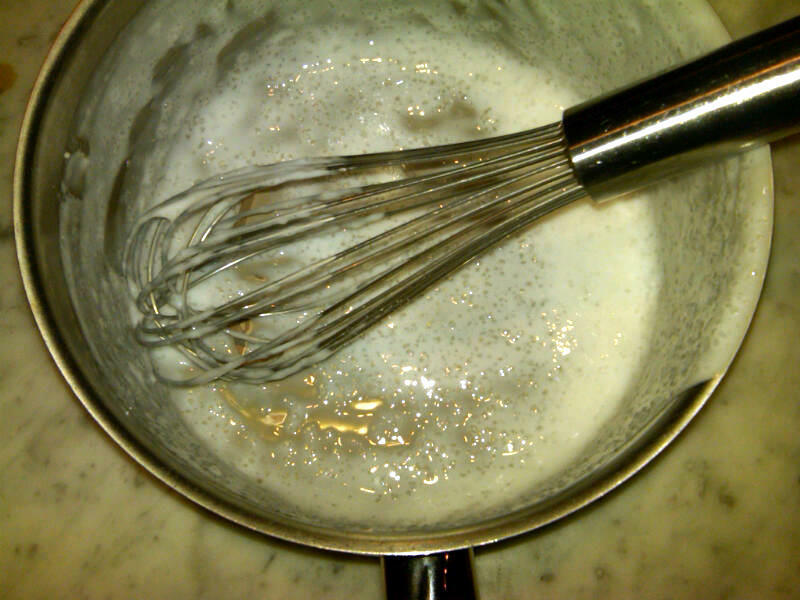 Whisk while adding entire package of coconut syrup powder mix to boiling water. Pour into a large serving bowl. 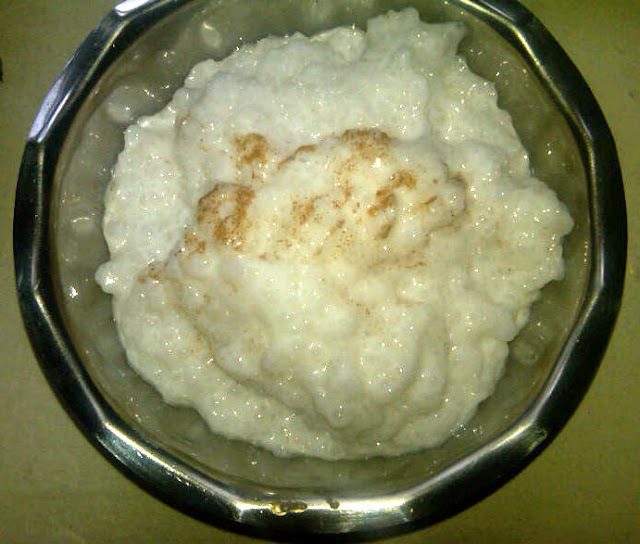 Refrigerate after it cools (Stir before serving).